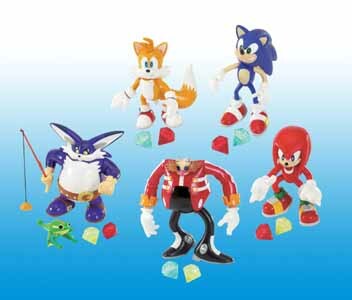 Sonic is undoubtedly the character from this range that will be the most popular (although Tails has more of an "Ahhh!" appeal). I was actually surprised at how much he looked like the character we know from the games and TV show. It can't be all that easy reproducing a spiky yet cute looking hedgehog in plastic (I didn't think they'd manage to get the spikes on his head right), but it's been done. 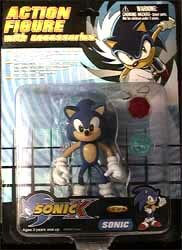 This figure also comes complete with two chaos emeralds (which he'll need to keep safe if he doesn't want Dr. Eggman stealing them) and is constructed of strong materials.